Charles Lindbergh was one of the most significant flight pioneers. He made the first solo non-stop flight in the special discoverer "Spirit of St. Louis" over the Atlantic Ocean on May 20-21, 1927, flying more than 3,600 miles in 33 1/2 hours. Later, he flew the "Spirit of St. Louis" on a three-month nationwide tour, and touched down in 49 states, visited 92 cities, gave 147 speeches, and rode 1,290 miles in parades. 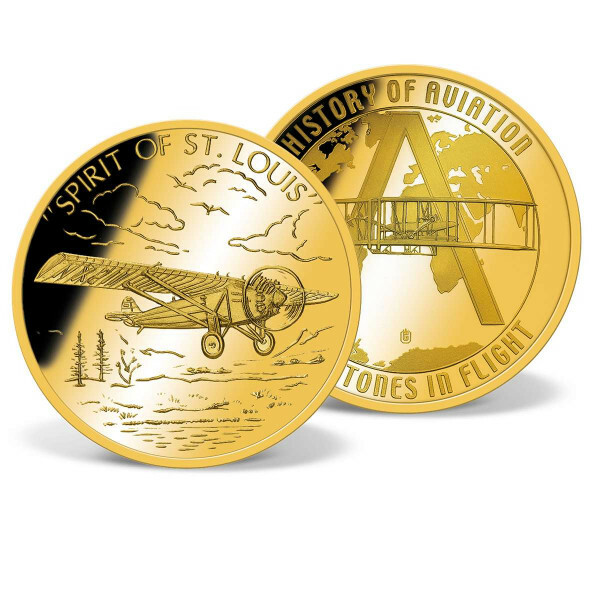 Obverse: "Spirit of St. Louis"